Love your thoughtful analysis. Other people have pointed out the similarities in Hitler’s rise to power. I don’t find the two men all that different. Please double check your choice of words, though, as I believe you really meant ‘incredible’ rather than ‘incredulous,’ (in I watch the incredulous rise to power of Donald Trump) and ‘adopt’ rather than ‘adapt’ (in Shouldn’t the rest of us simply adapt a “live and let live” attitude about it and not try to change people?). Easily confused, but important differences, IMO. Keep up up your seminal work, Heather. Blessings on you. I just got finished reading an article in Politico that was an interview of 5 different biographers of Donald Trump, and this very essence of authoritarianism. It ran in their family. It explains quite well what we see in America, and especially around the unfulfilled needs of Maslow’s hierarchy, but I look at those neurologically rather than physically. That means their developmental needs growing up were not met, and they mistranslate the message from their body wanting allostasis, and accept anyone willing to meet those needs, and approach that with the same cognitive challenges a child does: petulant resistance to even the truest facts that would interfere with their sense of safety. Hence women defending a sexual predator. 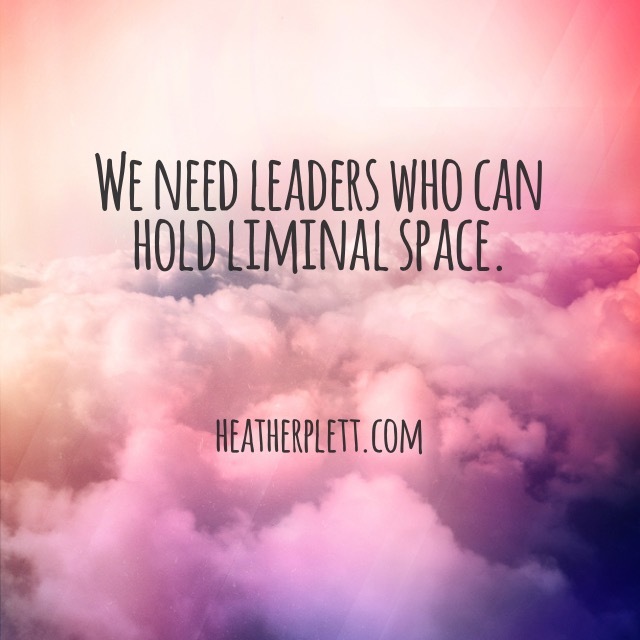 Then I look at my own emerging leadership in this region in the modality I teach, and ask myself now, how can I be a leader-as-host, rather than leader as hero.